On 24th of July around 12 O’clock mid night Lesotho’s only five-star lodge, the internationally-renowned Maliba Lodge in the northern highlands, was severely damaged by fire. No one was injured in the blaze which swept through the thatched main lodge, destroying the massive deck along with the Bar, lounge, restaurant and curio shop. Guests were staying in the six luxury chalets situated away from the lodge and they were in no danger from the fire which started in the early hours of Thursday morning.. 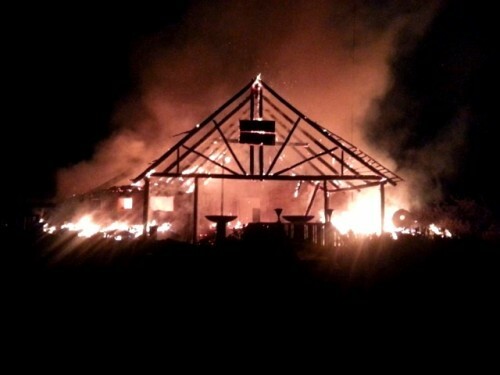 The Chalets, gardens and other surrounding buildings were unaffected. 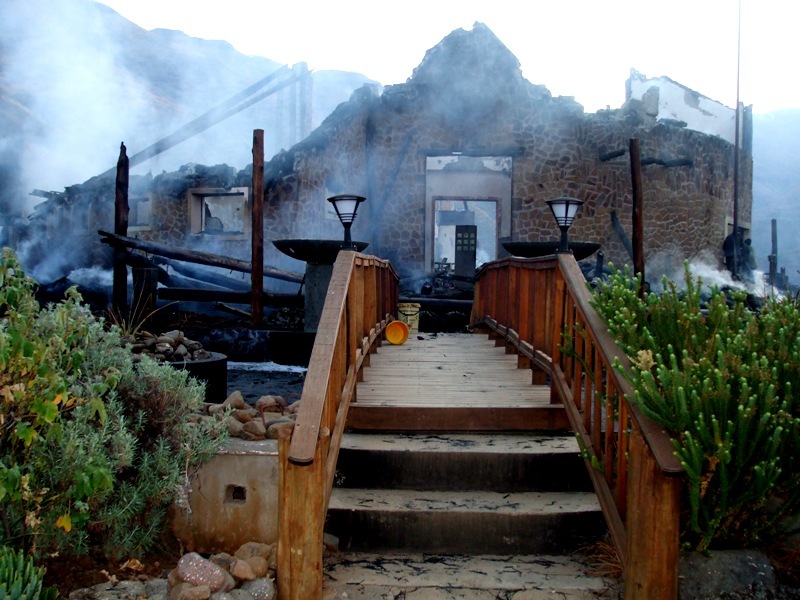 The destruction of the award-winning, multi-million rand main lodge was confirmed by Maliba’s marketing manager Nicola Gerrard who is based in Durban. The damage bill is estimated to be over 6 million rand. The owners, who live in Australia, and the staff, many who help build the lodge and considered it theirs, are devastated but so is the local community who are closely involved with the lodge which operates a community trust and finances many projects from lodge profits. 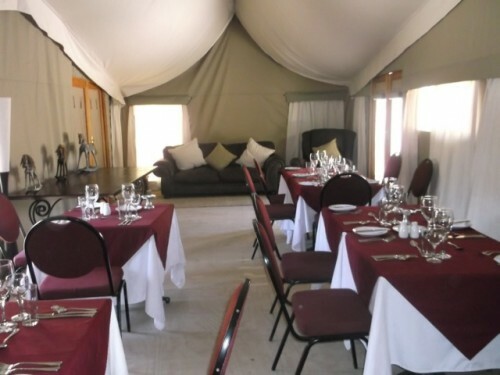 The 3 star self catering Maliba River lodge has been unaffected and is fully operational. The cause of the fire is not yet known but Gerrard said the owners Nick King, Chris McEvoy and Steve Phakisi are determined to rebuild the main lodge as soon as possible. They are relieved there were no injuries and appreciate the help of all staff in helping confine the damage to the main lodge only. 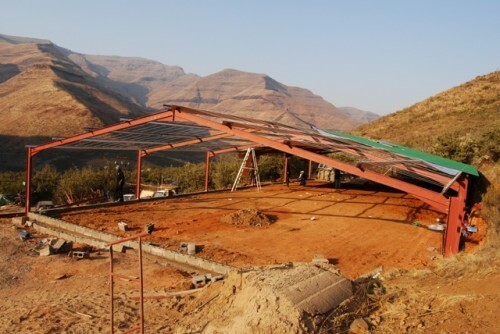 The owners have total faith in Maliba, Lesotho Tourism and its valued Maliba staff and immediately sprung into action to personally fund a rebuilding program which involved a well planned stage A, B and C.
Stage A , was to establish a office, bar , kitchen and luxury safari tent restaurant on the site of the old lodge which has already been completed in under 2 months. Stage B, To build a dedicated conference centre incorporating a small hotel and bar restaurant in a stand alone building which will also double as the main lodge. This building is halfway to completion and should be operational by Christmas. Stage C, Build a brand new lodge on the original site of the old lodge to be completed sometime in 2014. Chris McEvoy one of the owners commented how he had been amazed and humbled by the hundreds of messages of support Maliba had, and still has, received from past guests and, the local community. Chris and other owners are also eternally grateful to the general Manager Dwain Elliot and all the Maliba staff who have put their heart and soul into the rebuilding process and working long hours under difficult circumstances. The owners are very excited about the future developments for Maliba which has already been reborn and risen from the ashes after only a few months from the devastating fire. We would like thank our guests who have continued to support us in the tough time. And we welcome both new and past guests to Discover the new Maliba and watch our development as it progresses. Read the Original Press Release Read Part 2 – Dwain & Daniels accounts of the fire. Best family hotels in Africa named!